Melissa is a fast growing family-friendly community in North Texas with a population of approximately 10,000. It is home to the Recognized Melissa Independent School District, including EXEMPLARY rated Harry McKillop Elementary and Melissa Ridge Intermediate Schools. Melissa is located thirty five miles north of downtown Dallas in the dynamic growth area of northeast Collin County. 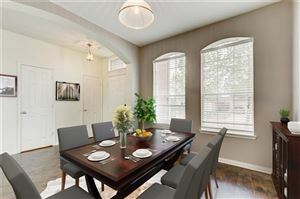 Its close proximity to Dallas and it's major thoroughfares offer easy access to all parts of the Metroplex, including Fort Worth, and other areas of Texas as well.